Robin spent the first 18 years of his life in Bootle on Merseyside. 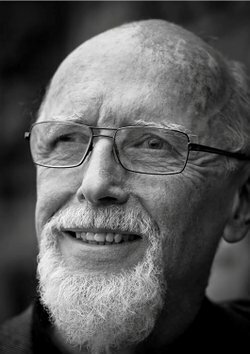 His teaching career was in Inner London schools from 1967-1993. In the 1970s – while Head of English at Hackney Downs School – he wrote stories that were published by Penguin and Granada. He became Head of Clissold Park School in 1979 and was the first head of Stoke Newington School in Hackney (1982-93). He returned to teaching in 2001 and retired for the second and final time in 2007. 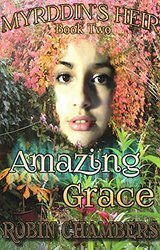 The books in his “Myrddin’s Heir” series are written “for bright children between the ages of 10 and 110”. They challenge as well as entertain – and Robin wishes they’d been available when he was teaching English. 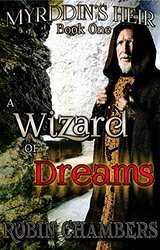 A Wizard of Dreams ~ … a potent blend of magical intrigue and adventure and whilst the theme is familiar, Chambers has a unique style of writing that sets his work apart. Much more than a trite fantasy plotline his young protagonist is defined in a realistic and empathetic way that pulls the reader through the story with him, and when Gordon interacts with Zack there is always much to be taken from these well observed exchanges. With well-defined characters, Chambers demonstrates a meticulous eye for detail that makes them instantly identifiable and whilst some are more endearing than others they are all very memorable. Each captured with a distinctive tenor that adds greatly to the thematic undertones of his tale. 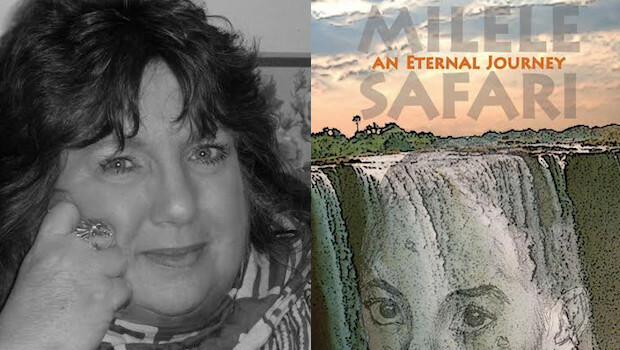 A tale that not only entertains, but encourages thought and timely reflection. Could her father really have been a God? How can she have two mums? And what has the most powerful wizard our world has ever known to do with all this? How will Gordon’s parents react when he tells them the whole truth? How important in the scheme of things are their best friends Nick and Miranda? And quite importantly: how can the four of them help YOU to write really good stories…? Can the clock be turned both backwards and forwards? And can their guardian angels help Gordon’s dad catch a serial killer…? 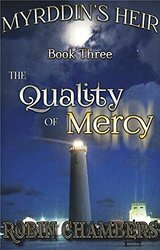 Book 3 ~ The Quality of Mercy …picks the story up precisely where Book 2 left off. Where were Gordon and Grace, while their bodies were in that dell in Wales…? How do fairies cope with growing old…? And what has that to do with the wedding of William Wales and Catherine Myddleton…? Can Gordon and Grace take on the combined might of wicked wizardry and witchcraft in Chester? And what very interesting discovery about Miranda and Nick does Gordon make along the way…? Why is someone trying to kill them all? And what do Nick’s father and Miranda’s mother have in common…? How do The Fantastic Four sidestep The Famous Five to become The Super Six? And who do Gordon and Grace find themselves rescuing…? How on earth can Gordon help hominids on a planet many light years away…? When is a pony not a pony? And what is Groc the Knocker up to now…? What has the evil Goddess Morrigan LaFaye kept screaming for centuries at the top of a tall tower, where the walls ooze oil and look eerily like skin? And why does the God of the Sea feel the need to get involved? And if that wasn’t enough, this is the part of the story where The Super Six become The Eight Team. What are Gordon’s sixteen greats grandmother and a lost soul from the sixth century doing getting in on the act? 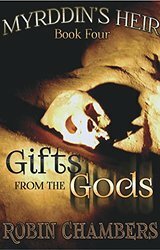 What “gifts” might the gods be disposed to give: to help in the fight to make the world a better place…? 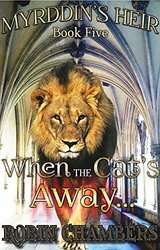 Book 5 ~ When the Cat’s Away … tells you a lot more about the Council of Thirteen and how its members react to Octavius Mortlake’s death. Carmen, Goddess of The Damned, does not take the loss of her daughter lying down. How will she be revenged? And how next will she seek to destroy the children who were born to heal the world? Great job, Jan! I also love Merlin and Robin’s books look fascinating! Thanks for sharing them with us. 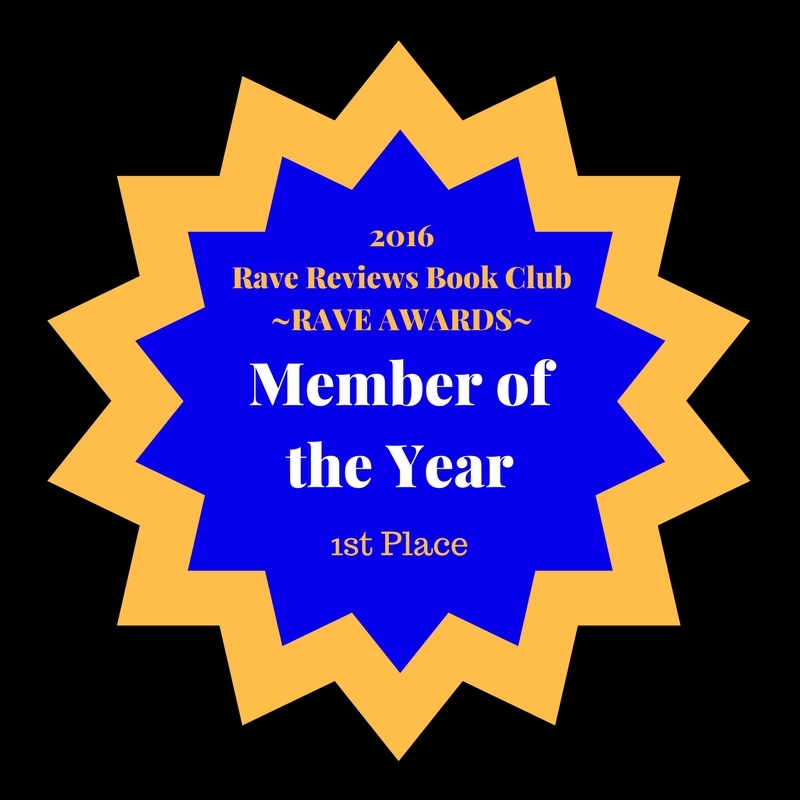 Great post, Jan. Robin’s books sound perfect for lovers of fantasy books.